Before you can attract the appropriate audience for your website you need to analyze and understand the kind of visitors you are trying to attract. The type of people who visit your site is an important factor because you will need to use that information to develop your site to benefit them. In doing this you will loyal people who will return to your site time and time again. When planning out your site you will want to consider the age range and mentality audience will have. For example, An amateur landscaper might linger around a general site on gardening, but an experienced botanist might find absolutely nothing useful when visiting the same website. Comparably, a standard individual will leave a site filled with astronomy abstracts while a well versed graduate would likely find that site appealing. Make sure to consider your audience’s emotional state when creating your website. If a frustrated person searches for an answer and happens to come across your website, you will want to make sure that you are offering the proper resolution directly so you can promote and sell your product to them quickly. In doing this, the person will put their faith in you for providing the answer to their problems and are more likely to purchase merchandise from you when it is offered in the future. When you plan the layout for your website, you must also take into account the attributes of the visiting market. Are they teenagers or senior citizens? Are they searching for current trends or are they looking for information served without any bells and whistles? For instance, lets say your company has just developed a new exciting video game. Having a generic website design with a basic black text against white background layout will undeniably turn away any potential customers. You will always want to make sure that your design layout suits your website’s general theme so you can portray the right feel to your target audience. Tossing in appropriate keywords are very helpful in this area too, as they will yield better search engine results to help your target audience find you. 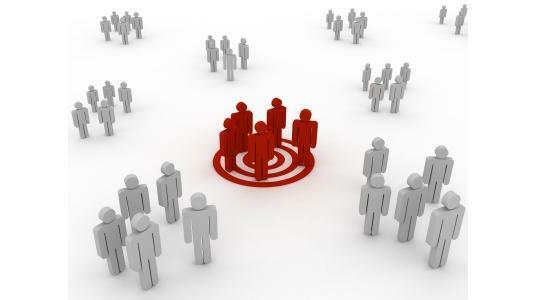 Sprinkling in terms and phrases that are familiar to your target clientele in your websites lightly as you see fit. in doing this you will create a familiar atmosphere and give your visitors a sense that they are on common ground. This helps build a confident rapport between you and your visitors, which will come in very handy if you should ever desire to market special products to your target audience.